Many thanks for all the well-wishes Lisa and I have received. She's going to have her surgery tomorrow morning, a hysterectomy, a "routine", but also major operation. Hopefully she'll be home again by the weekend to begin her long recovery. 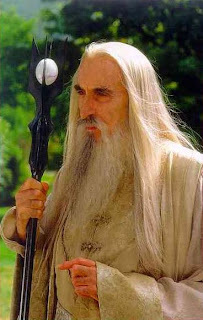 Obviously, I'll be a bit more scarce here, and on Facebook and MySpace, in the next several days. I will try to post Lisa's progress, whenever possible. Again, we truly appreciate your concern and your prayers. Lisa and I have wonderful friends. 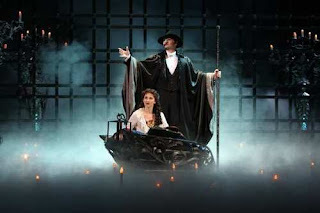 Not long ago Lisa and I attended a live performance of Andrew Lloyd Weber's The Phantom of the Opera. We also invited Molly, the teenage daughter of Lisa's oldest friend, and her friend Lea, knowing that both girls were emphatic Phantom enthusiasts. Bear in mind that I'm talking about two very serious fans here. Especially Molly. I mean, how many high school students today have read (and loved!) 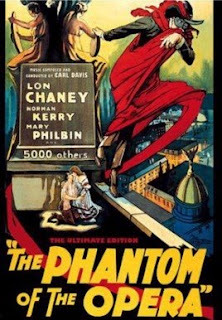 the original novel by Gaston Leroux, or even know the name of silent film star Lon Chaney?! As we all expected, the production was magnificent and the four of us had a fabulous time. Still, as amazing as the musical itself was, experiencing the full-fledged frenzied excitement of our teenage guests during and, especially, after the performance was even more fun. 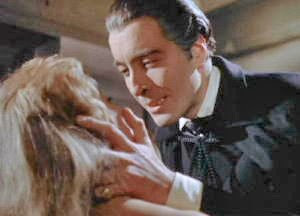 It was impossible for Lisa and I not to get caught up in their breathless fervor. This will always be one of my favorite memories. I discovered this poem late tonight and I'm not exactly certain why, but it brought back instant memories of that evening in the theater. 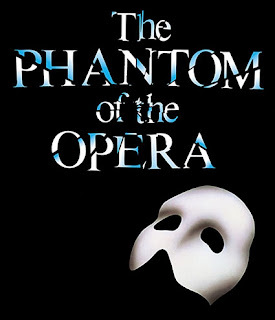 I sense the heart of the Phantom's story in its own mysterious beauty. Thought I should share this with Lisa, Molly and Lea, and with the rest of you. but still, my dear, you do not come out. 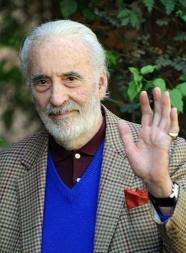 Christopher Lee, one of my favorite actors, has been made a knight in Queen Elizabeth II's birthday honors list. I recently came across this delightfully nostalgic poem by Robyn Sarah, and had to share it. The words themselves, plus this particular time of the year, left me daydreaming for a few quiet moments of my years at Jesse Stuart High School, in Valley Station, Kentucky, so long ago. Those times were, in truth, frequently frightfully brutal and emotionally oppressive for me. Not a happy time. Still, somehow reading this poem smoothed out some of the brittle wrinkles, recalling a simpler time of self-discovery, first loves, and the beginning of the smoldering, growing ambition for the path I would eventually pursue. And, I'm reminded that, just perhaps, high school wasn't so horrible. the faint puke-smell of the new bindings. feel the thought rise: Is that it then? of moments no one remembers? for autographs — everyone's, please. on the wand, then sucked back. of girl sweat and spray cologne. 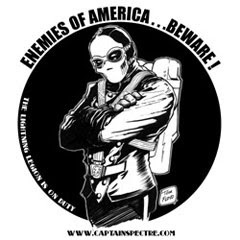 The Return of Captain Spectre! "Strike like Lightning! Swift! Sure! True!" After a long hiatus my favorite online comic strip has returned! 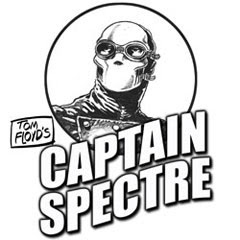 I think it was about four years ago when I first discovered Tom Floyd's CAPTAIN SPECTRE online comic strip. It was big, bold, and blazing with action and extraordinarily imaginative ideas. The strip effectively captures a slice in history, perfectly resurrecting not only the conception of the adventure strip itself, but Tom also authentically evokes the pre-WW2 atmosphere of the pulp magazines, movie serials, and radio shows of 1939 into an amazing blend. Over the years the strip has evolved, getting better and better with each new installment. There's nothing else quite like this rousing, and poignant, adventure anywhere. 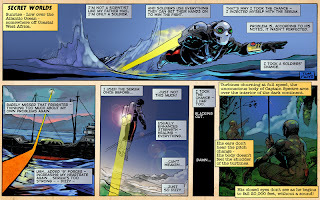 If you haven't read CAPTAIN SPECTRE yet, then please follow the link below and immerse yourself in his exciting, dangerous world. The strip is FREE, but I do encourage you to support the Captain by becoming an official patch-wearing, coin-carrying member of the Lightning Legion. Believe me, once you see the cool premiums, you'll be glad you did. What are you waiting for? The thrills are just a click away!